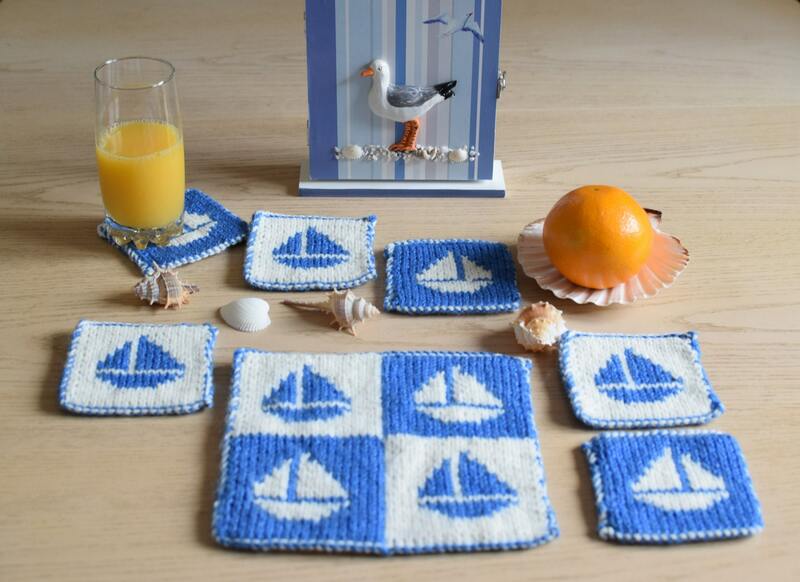 To remind us of trips to the seaside and perfect for Summer picnics. 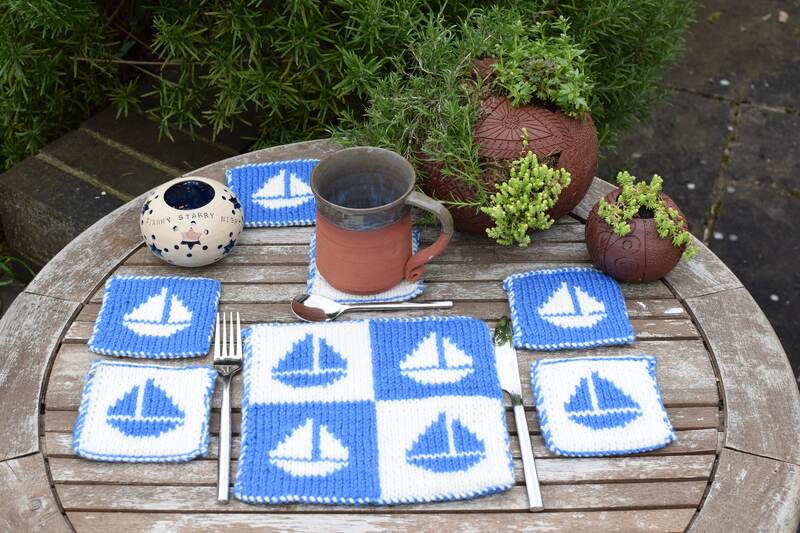 These coasters and table mat are knitted in Double knitting which is a knitting technique that allows you to produce a reversible, two-layer, double thick fabric, with stockinette stitch showing on BOTH sides. The colour patterning is reversed on the opposite side. 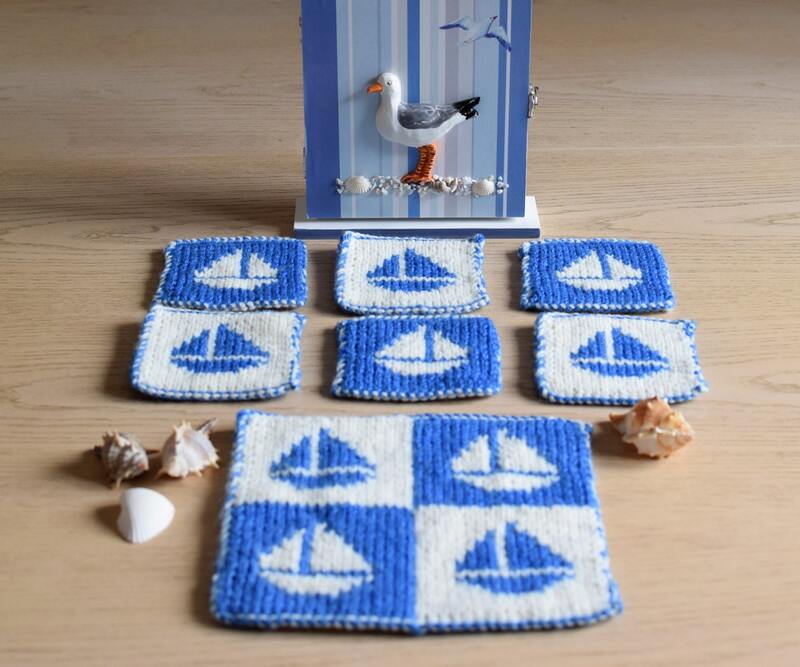 When working these coasters, you will first knit a stitch from the side of the fabric facing you and then you will purl a matching stitch from the opposite side of the fabric. Full instructions and coloured step-by-step photos are provided. 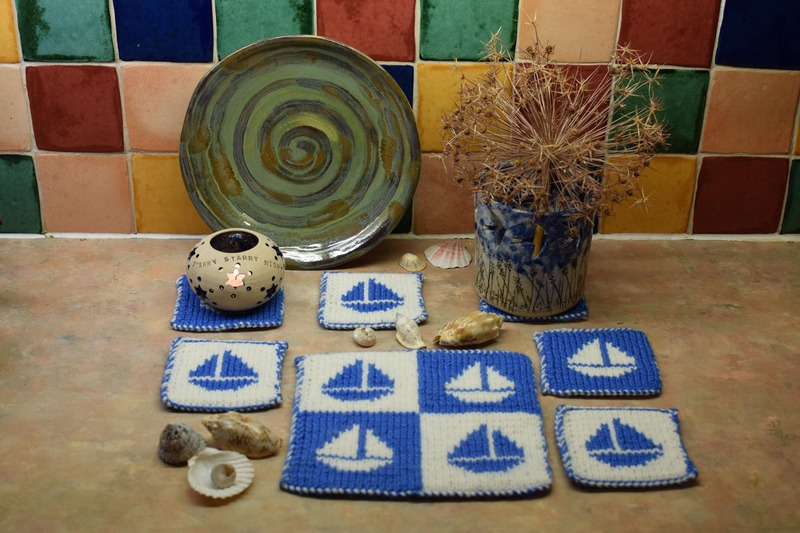 6 coasters and 1 table mat require 2 - 100 gram balls in 2 different colours. 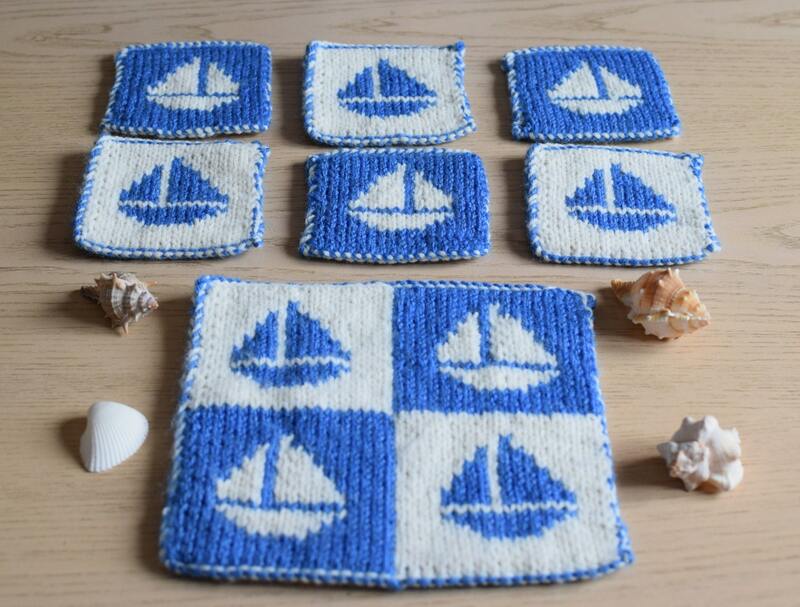 It is a quick and easy project to knit and would make a lovely, unique handmade gift.